See, even when you’re freezing your tail off and dirty snow is piled up around your car, things have a way of working themselves out. Perhaps you, too, had the opportunity to duck out from the cold snow last weekend for a tour around the wine globe at the annual Boston Wine Expo? If you did, I’m going to guess that your tour was a lot different than mine. And that’s one of the great things about this event… there are so many different tracks you can take. If you’re interested in finding small producers and small regions, you can do that. If you’re interested in getting more familiar with the wines from a specific country, you can do that. If you’re interested in finding the next baller wine to bring to your boss’ dinner party or to celebrate the birth of your first child, you can do that too. My two-day track took me a bit into each of these directions – here are some of the wines and wineries that really stood out. As big and seemingly overwhelming as the Boston Wine Expo is, there’s always an opportunity to seek out smaller producers and featured appellations that you may not know much about. This year, I came across some great small producers from Lodi, Santa Barbara and Willamette Valley. Grassini Family Vineyards is a small producer in the Santa Ynez Valley, just northwest of Santa Barbara. The vineyard was planted in 2002 and specializes in Bordeaux varietals. 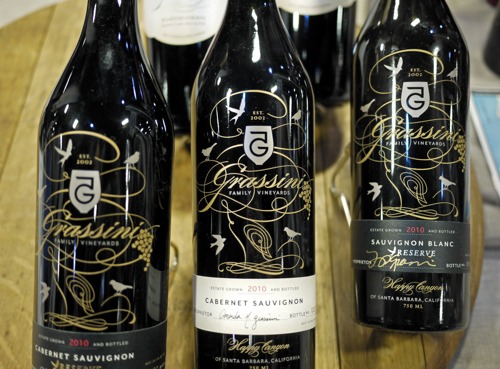 Their 2010 Estate Cab and Cab Reserve were early standouts on Saturday; two bold and rustic, earth-driven wines with lots of dark berry and layered chocolate. If you like California Cabernet, but want to branch out from Napa, do yourself a favor and check out Grassini. 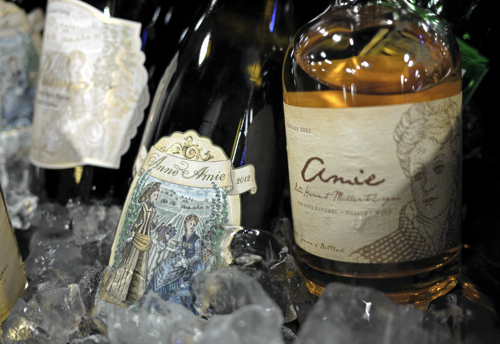 I’ve enjoyed Anne Amie’s wines at previous events, but I was particularly impressed this year. As a Willamette Valley winery, Anne Amie specializes in all things Pinot, and their Prismé, Pinot Noir Blanc reserve wine was a true pleasure to taste. To make this wine, Anne Amie uses their finest blocks of Pinot Noir and gently presses the grapes, without carrying forward the color or tannins from the skins. The wine is then barrel-fermented, and aged on its lees in French oak barrels for 18 months. I also loved their dessert wines – Anne, an ice-wine style wine made from Muller Thurgau and Amie, a wine fortified with Pinot Noir brandy. 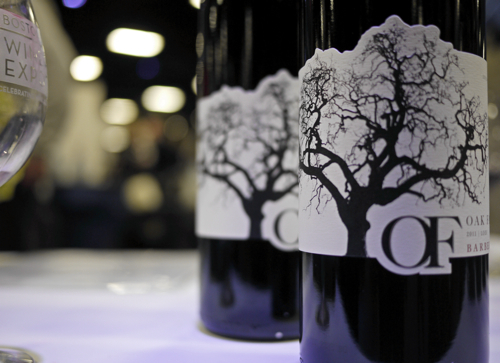 Oak Farm Vineyards was my favorite of the numerous Lodi wineries that I tasted through at BWE this year. Another small production winery, Oak Farm is a family-run vineyard located on one of the oldest properties in the Central Valley. I particularly enjoyed their 2011 Barbera, a wine that was recently awarded Best of Class at the Consumer Wine Awards. Italy seemed to have an abnormally large presence this year. Not that Italy is ever under-represented at BWE, but this year seemed to be especially Italy-heavy. This is good in that I was hoping to pinpoint some new Italian wines to seek out, but it was a bit challenging in that there was almost too much to wrap my head around. I think one could have spent an entire day doing Italy alone. 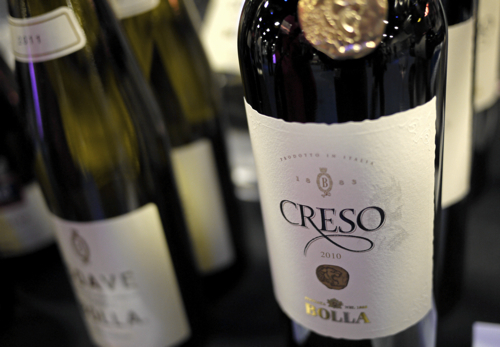 Bolla Creso 2010 was one Italian wine, however, that did rise to the forefront. Coming from the Valpolicella area, the 2010 Creso is a big, leathery blend of Corvina (65%) and Cabernet. The Cab is air-dried until the berries lose 30% of their natural water weight, which ads a nice rich ripeness to the wine. I’m also always on the lookout for more New Zealand wines to dig into. I think for the dollar, New Zealand Pinot Noir can be some of the best under $20 pinot buys on the market. There wasn’t a whole lot to choose from this year, but I was able to add one winery to my future New Zealand buy list: Mt. Beautiful. Located in North Canterbury, on the South Island of New Zealand, I found all of Mt. 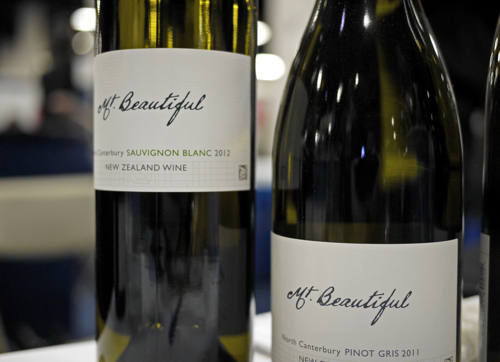 Beautiful’s wines to be enjoyable, and their whites, in particular, to be truly unique. This was the first year I was able to spend some time in the Vintners Reserve Lounge. In fact, I spent my whole Sunday there, tasting some truly fantastic wines – typically upwards of $75 per bottle – and some great food as well. Access to the Vintners Lounge will set you back about $175/ticket, but I really have nothing but amazing things to say about the Vintners experience. It’s in its own exclusive area (so you get to avoid the crowds of the grand tasting) and it is a unique opportunity to get to taste wines that you’d rarely get the chance to try otherwise. And to see this many great wines in one place is pretty fantastic. 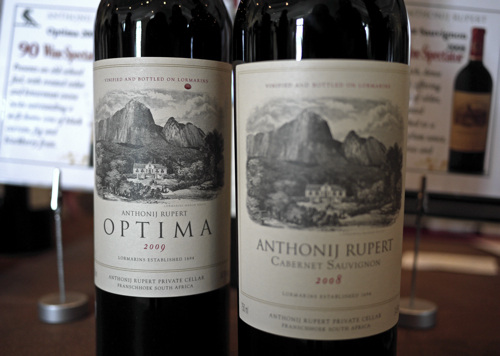 One of my favorite wines/best buys all weekend was Anthonij Rupert Optima, a South African red blend from Franschhoek Valley. This winery focuses on terroir-specific wines from a portfolio of farms in Franschhoek, Darling, Swartland and Elandskloof. Optima is a blend of red Bordeaux varietals that comes together to form a truly elegant wine with blackberry, cocoa, plum and oak. For its relatively modest price tag, I thought it was a true stunner. Admittedly, I don’t spend a lot of time with Portuguese wines. 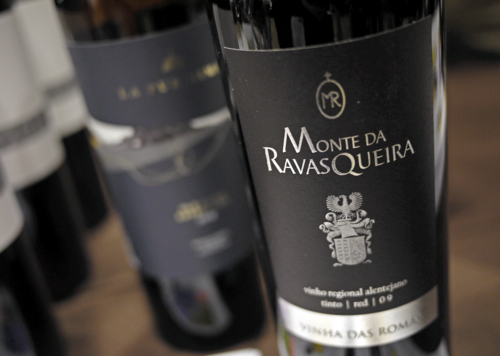 But, I found this Monte Da RavasQueira Vinha das Romãs 2009 to be another great value wine (amongst a sea of $100+ wines). RavasQueira is located in the Alentejo region of Portugal. The Vinha das Romãs 2009 is made from a blend of Syrah, Touriga Nacional, Alicante Bouschet and Touriga Franca. A lot of the Portuguese wines on the market in the US tend to be in lower price ranges, so if you’re looking to see what a higher end Portuguese wine can offer, I’d recommend giving this RavasQueira a go. 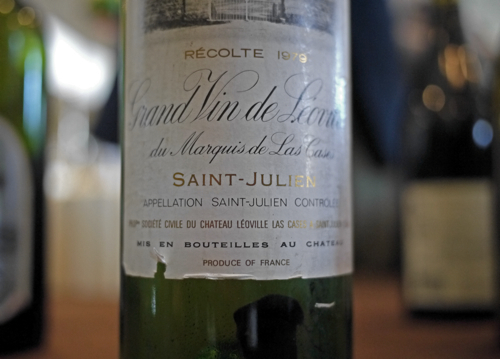 Perhaps one of the most exciting wines of my Vintners Reserve Lounge experience was this 1979 Grand Vin de Leoville du Marquis de Las Cases from Chateau Leoville of Saint Julien. I love tasting old wines, but this was particularly special because I’ve always wanted to taste a wine from my birth year (1979). And this was the first opportunity I’ve ever had to do so. It’s not often I get to drink great French wine that’s been sitting around for 34 years… thanks BWE for making this happen! 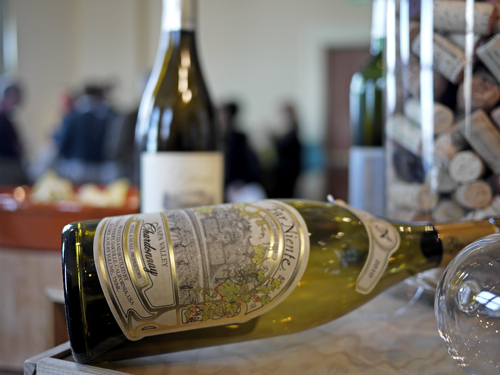 Another highlight of the Reserve Lounge was the fairly sizeable selection of Premier Cru and Grand Cru Burgundy’s. 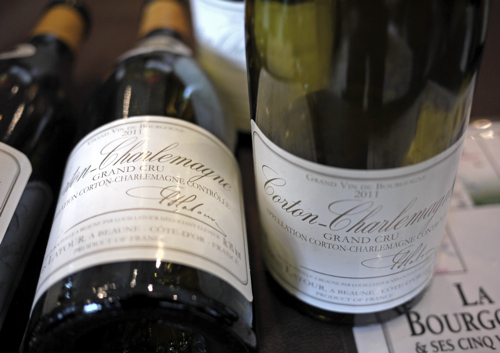 I was especially excited by a number of the white Burgundy’s, including the 2011 Corton Charlemagne Grand Cru from Louis Latour. Wine Spectator gave this wine a 90-93. I found it to be quite rich and intense, with smoke, honey, and lots of minerality and rich fruit. Now… getting to that baller wine I was talking about. 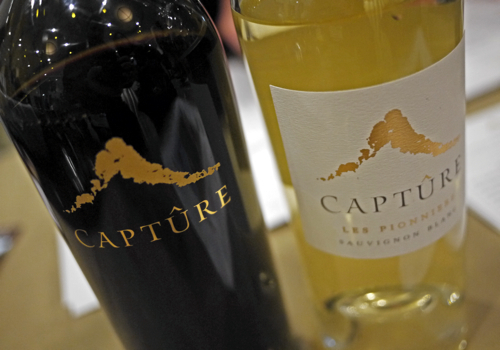 I hadn’t heard of Captûre Wines prior, but I’m sure glad I stumbled upon them here. Captûre is located about 2,500 feet off the Alexander Valley floor in Sonoma County. Their winemaking team comes from Château Latour in Bordeaux, and I hear they make their Les Pionniere Sauvignon Blanc for Thomas Keller’s The French Laundry. Pretty fancy stuff. The Révélation, which I tried at BWE, is their signature wine; “a true Pauillac-inspired Cabernet Sauvignon” that’s blended with Merlot and Cab Franc. This wine pretty much blew me away. 172 cases made, good luck finding one. 94 points Wine Enthusiast. Listen, I could keep going on with wines that blew me away in the Vintners Room. Like the 2011 Revana Cabernet, for instance. But I’m going to just stop there and let it all sink in. 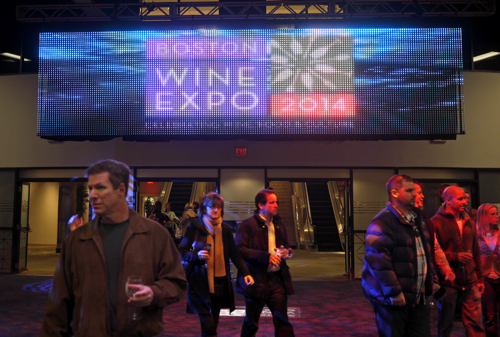 So, another year of Boston Wine Expo in the history books. If you went, hope you enjoyed your time. Until next year… cheers. Thank you for tasting the wines of Santa Barbara County and appreciating the delicious red wines coming from Happy Canyon of Santa Barbara (one of Santa Barbara Count’sy five AVAs.) We were excited to have a presence at this year’s Expo and look forward to returning in 2015 and hopefully bringing better weather!